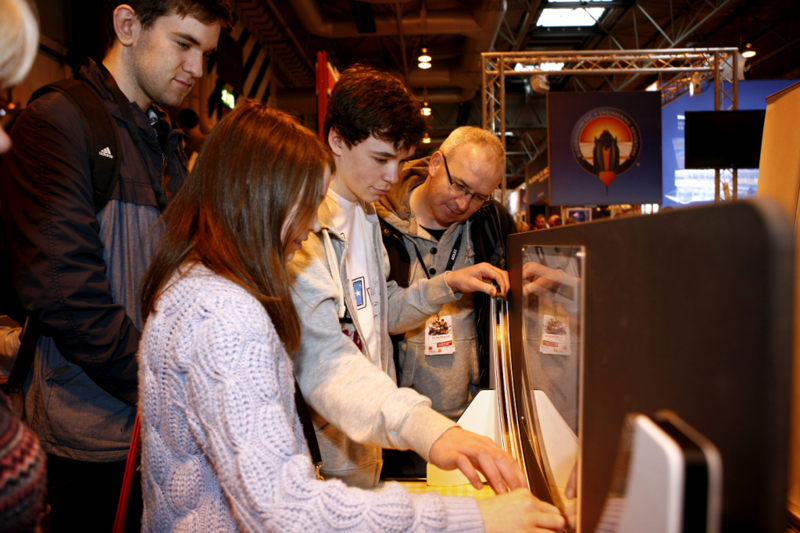 The Big Bang Science Fair (described as the ‘largest celebration of science, technology, engineering and mathematics for young people in the UK’) took place at the National Exhibition Centre in Birmingham from 11th – 14th March 2015. The following week on Saturday, 21st March 2015 the Leeds Science Festival took place at the University of Leeds. 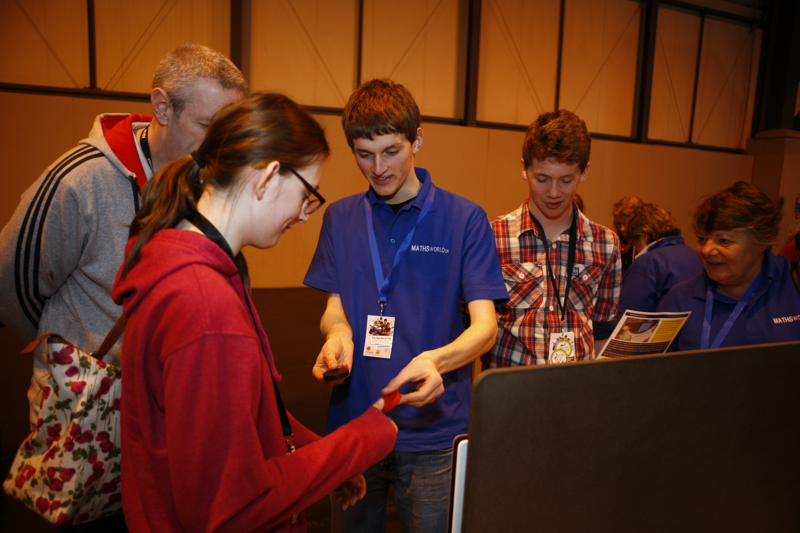 MATHSWORLDUK participated on all four days in Birmingham and in the Engineering Experience section at the Leeds Science Festival. At each venue there were two specially commissioned interactive exhibits – the Parabolic Bounces and the Tautochrone, and at Leeds there was an additional display of mathematical (geometric) models of viruses together with a hugely popular associated model-making activity involving origami. The activity on viruses was developed by Professor Reidun Twarock and her colleagues at the University of York (see details of Gresham College lecture below). Many hundreds of enthusiastic schoolchildren, their teachers and their parents visited the MWUK stalls at each venue. These stalls were manned by the MWUK Executive Committee Members supported by some senior volunteers, and undergraduate and postgraduate students from Imperial College, The University of Oxford, and the universities of Leeds and York. Photographs taken at the two events can be found in the Galleries section of the website. No Replies to "MWUK Participation in the BIG BANG Science Fair and the Leeds Festival of Science"